Thomas Francis Wilson Jr. was born on 15 April 1959, in Philadelphia, Pennsylvania, USA, and is a painter, actor, comedian, musician, and voice artist, but perhaps best known for his work in video games. He’s also appeared in various television shows and movies. All of his efforts have helped put his net worth to where it is today. How rich is Thomas F. Wilson? As of early-2017, sources estimate a net worth that is at $4 million, earned through success in his various endeavors. 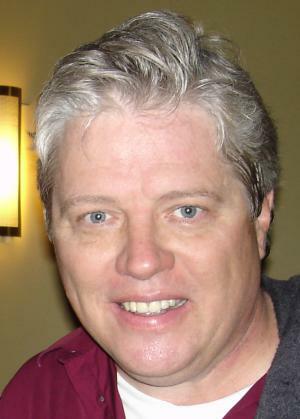 He’s well known for playing Biff Tannen, Buford “Mad Dog” Tannen, and Griff Tannen in the “Back to the Future” trilogy. He also played Coach Ben Fredricks in “Freaks and Geeks”. As he continues his career, it is expected that his wealth will increase. Wilson attended Radnor High School, and during his time there was involved in dramatic arts and debate, and he played the tuba and was a drum major in vthe school’s marching band. After matriculating, he attended Arizona State University where he would study international politics. He then went to New York and attended the American Academy of Dramatic Arts, which later allowed him to experience performing on stage as a comedian. In the early 1980s, Thomas moved to Los Angeles and would have a small role in the second season of “Knight Rider”. He would finally get his breakthrough in the 1985 film “Back to the Future”, and would continue in the serie’s next two films, also playing various relatives of his original character. He would earn a lot of popularity in the films, which helped increase his net worth significantly. He also reprised the role in the animated series, and would later voice his character in versions of Telltale’s “Back to the Future: The Game”. In 1988, he appeared in the film “Action Jackson”, adding to his net worth. Four years later, Thomas continued his voice work by being a part of “Batman: The Animated Series”, and also voiced for “Gargoyles” and “Wing Commander III: Heart of the Tiger”. He would continue to be part of the series next two releases, and the animated series “Wing Commander Academy”. Thanks to these opportunities, his net worth continued to rise. Afterwards, he made a guest appearance in “Lois and Clark: The New Adventures of Superman”, and in 1999 he was cast in the comedy-drama series “Freaks and Geeks”. His next notable project would be doing voice work for “SpongeBob Squarepants” in which he voiced several villainous characters including The Strangler and the No Weenies Allowed Club Bouncer. In 2003, he became a part of “Trial and Error: The Making of Sequestered”, which is a mockumentary, and many other animated series would hire him including “The New Batman Adventures”, “Max Steel”, and “The SpongeBob Squarepants Movie”. He also had supporting roles in “Ghost Whisperer” and “Larry the Cable Guy: Health Inspector”. His net worth was rising steadily. In 2003, Thomas went back to the stage in a production of “110 in the Shade”. He also released a comedy album called “Tom Wilson is Funny!” Over the next few years, he would make guest appearances in several popular shows, including “House M.D.”, “Bones”, and “Boston Legal”. He also started a podcast in 2011 called “Big Pop Fun”, which featured guests such as Samm Levine and Steve Oedekerk. Some of the recent projects Wilson has been part of include voicing for “The Pink Panther”, “Timon & Pumbaa”, and “Family Guy”. He also voiced Electro in the video game “Spider-Man: Shattered Dimensions”. His net worth continues to rise. For his personal life, it is known that Wilson has been married to Caroline Thomas since 1985, and they have four children. He is a Catholic, and released an album called “In the Name of the Father”.